Hi. Hope you have had/having a wonderful weekend. It has been pretty hectic here with kids sport, work functions and just the everyday stuff. I can't see it slowing down anytime soon either, maybe after christmas. This time of year is great but very tiring too. 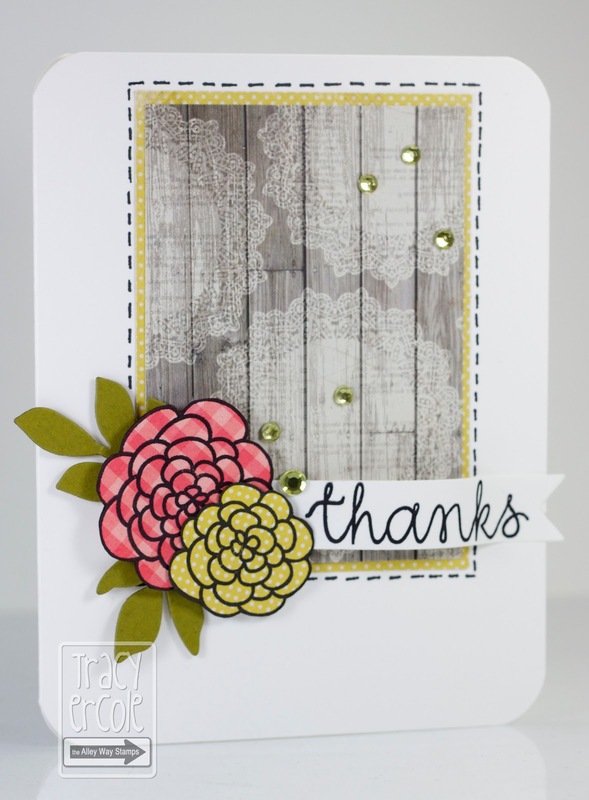 Thanks for stopping by and don't forget to stop by The Alley Way Stamps blog for more inspiration! Now THIS is sweet! Love this paper collection and those pretty little blooms! What a lovely card! Just having a look around your blog, you've got a new follower. Love your work Tracy.